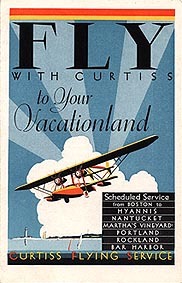 Curtiss Flying Service flew with amphibians from July 1929 on two routes out of Boston, to Nantucket and Bangor. These services had apparently been discontinued by the summer of 1930. The airline is reported to have operated in the New York area during 1931, but was gone by 1932.